Couples have wedding planners... Photographers and Videographers have us. Traditional wedding invites don’t help potential clients find you. 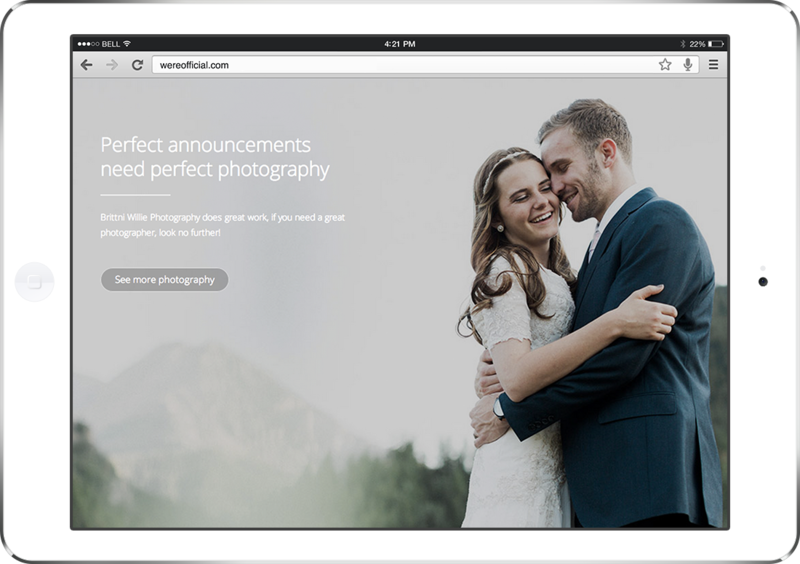 On every wedding website we build, we showcase your work and give you the credit you deserve. Everyone of your client's guests will see your work and your brand throughout the entire process and they’ll start to see you as more than just the person behind the camera. We feature a new photographer/videographer every week on the front page of our website and across our social channels. Whether you’re just starting out or starring in top wedding blogs around the world, let us help you find more clients so you can concentrate on doing what you’re best at. Ok, I just found this site and I'm already obsessed! It's so convenient for brides and there is so much talent here! Love it! This all sounds so amazing!! I will be for sure referring my brides to you guys! This is such a great idea! Especially in such a tech-savvy age! I'm definitely sending my clients your way! Such an awesome company, you have a lot to offer newly engaged couple's looking to announce their big day! What they do is a dream come true. They are the ultimate wedding announcement company! Ready to find more clients? Whether you have a question, would like to be featured, or simply want to say hello, we would love to hear from you! Drop us a line and we’ll get back to you!